Living... in Harlan, Kentucky – a small rural town full of robbers, cheats, liars, frauds, neo-Nazis, drug dealers, rocket launcher owners, and murderers. And she might be the worst of them all. Profession... quiet small general store owner, according to her tax forms. But really, it’s just a front for the largest marijuana ring in the county. That means growing pot, selling pot, and killing anyone who gets in her way. Interests… bootlegging her famous apple pie moonshine. It tastes real sweet, and gets you real drunk…unless she’s decided to throw some poison into your batch. Relationship Status... widow, now that her husband Pervis is dead. She’s left with their three sons – Doyle, Dickie and Coover. Doyle is the corrupt police chief of a nearby town, while Dickie and Coover grow and smoke the family’s biggest cash crop. They all constantly disappoint her. Challenge... dealing with Raylan Givens, a U.S. Marshal who has recently returned to Harlan. The Givens family and the Bennett family have had a deadly feud going way back to Prohibition. 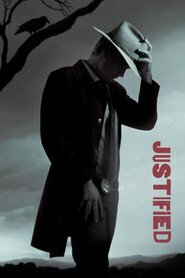 A truce has been in place over the last decade or so, but with Raylan back in town, all bets are off. Personality... cold, ruthless, and manipulative. She’ll do anything to maintain power and make money, from smashing fingers with a hammer to selling the land her family has sworn to protect. As she has aged and the years have waned, she’s only gotten meaner and accumulated more and more grudges. Mags Bennett's popularity ranking on CharacTour is #4079 out of 5,000+ characters. See our top-ranked characters and read their profiles.